At the end of 2017, and as a National Rural Affairs Strategy is being discussed by the National Police Chiefs’ Council, we asked the Rural Crime Team Co-ordinator for Dorset Police, PC Claire Dinsdale, to explain the best practice happening in her area. When it comes to keeping Dorset’s rural communities safe throughout 2017, putting the right precautions in place has been vital. With farm machinery, plant and vehicle theft an ongoing issue, a dedicated training day for all rural Neighbourhood Policing Teams (NPTs) was set up. This included input to share best practice from the National Vehicle Crime Intelligence Service and the Plant and Agricultural National Intelligence Unit, while NFU Agricultural Specialist Clive Harris gave further advice and support. To coincide with the training programme, a checklist for staff at farms and firms where machinery, vehicles and plant is used has been established to ensure theft is gradually eradicated by increasing prevention methods. Several livestock offences have highlighted the need for a toolkit guide for staff, training, and attendance at partner events – for example those run by smallholders – too. Metal-backed bright red signs have been produced, warning dog walkers of the dangers to livestock, and these have been given to victims of livestock attacks across Dorset to display on their land. If there are no lines of enquiry to follow up in cases, the Rural Crime Team work with the communications team to roll out press releases, which has led to suspects being identified. Alongside this, the use of Community Resolution and Restorative Justice, whereby the suspect pays vet’s costs or compensation to the farmer for sheep, have proved invaluable. Recent repeat offenders have been taken to court, fined £550 in total and now have a potential Criminal Behaviour Order application pending. At six-weekly Rural Crime meetings with enforcement partners, discussions regarding disruption of the top individuals impacting the rural community take place. This includes details on crime prevention, and is helping increase the intelligence flow from partners – something which was lacking previously. A seconded Intel Researcher has also been employed to look at daily crime and suspicious incidents – this serves to increase the amount of intelligence briefings sent to policing sections, allowing PNC markers to be placed on suspect vehicles and greater research on the use of Penalty Notices for Disorder in individual cases. Student officers receive training inputs from the Rural Crime Co-ordinator on rural and wildlife crime, and how it forms part of organised and cross-border offending. Meeting regularly with officers from surrounding forces in six-weekly meetings, this focus on cross-border offending allows the group to share intelligence bulletins and discuss in detail frequently-committed crimes. With social media such a key – and growing – part of the public’s lives, the use of Dorset Alert – a dedicated crime messaging service – has been instrumental in the rural community, ensuring people can keep an eye out for vehicles used in crime. It’s resulted in widespread engagement, with thousands of ‘shares’ and responses from people coming in via popular social media platforms. 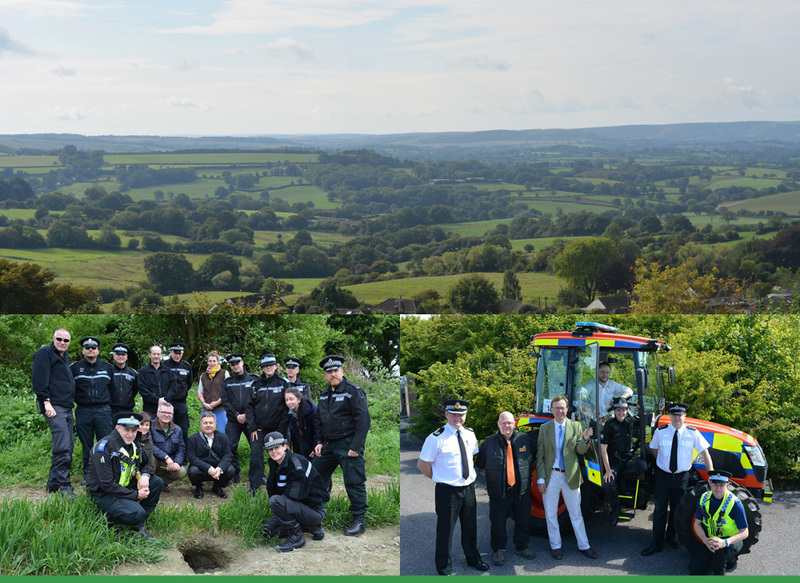 Finally, Dorset Rural Crime Partnership launched in the autumn – its first meeting brought together various non-governmental organisations, landowners, a farmer, and other stakeholders. The top concerns raised were fly tipping and poaching. The next forum will bring together a small group of farmers, landowners and gamekeepers in what will prove a manageable focus group.